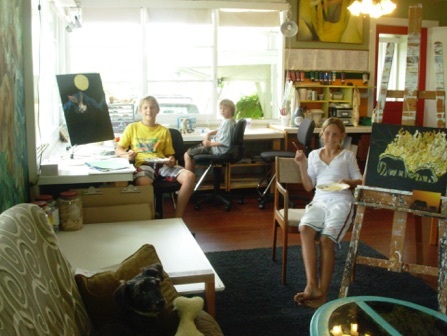 Karen offers year round art instruction to residents and visitors at her private art studio in Kailua, Hawaii, on the island of Oahu. Studio art experiences are different than art classes. Each student chooses what they want to create and Karen provides the materials, technical know how, 25 + years of teaching experience, and passion for the power of creativity to help these ideas come to life. 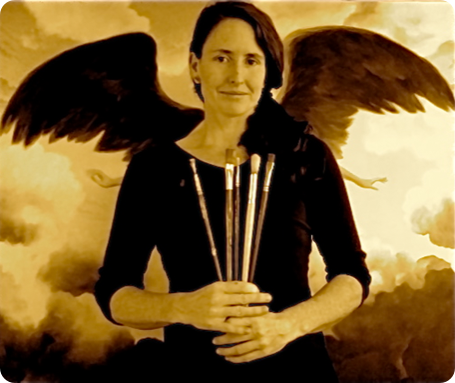 Karen believes there is no more powerful experience in any persons life than “I can”, and visual art is a way for people to connect to the deeply beautiful value of their own life experiences. The very small groups allow for each artist to get the one on one help they need on this journey. “What do you want to do today?” are the words that start every session. Students can do pottery on the potters wheel, sculpt in ceramics, wax, wire,and other less traditional media , paint with acrylics, oils and watercolor, draw and etch with traditional and non traditional media, do glass mosaics, sew stuffed animals ( huggable art ), do batik and embroidery , silk screen t-shirts, create jewelry and other forms of wearable art, learn to drawn and design with adobe illustrator, and any other projects we come up with along the way. The philosophy is that each student brings their “what”, and the studio provides guidance with the “how”. And don’t worry, we can help you find your “what” too. Students age 6 to adult are encouraged to explore all the different media according to their own pace and passion. Classical lessons in all media are taught age appropriately so that each artist has a meaningful experience connected to where they are now. Creativity is the perfect expression of who we are; come and explore this beautiful part of being alive! Cancellation policy- space is limited, and most classes have wait lists, so cancellation up to the day of a class is appreciated. Please honor this flexibility. Art at your own location is available, contact Karen to discuss details.